The countdown for new beginnings and the excitement for the grand celebration has begun! And in the midst of it, our new year express delivery is sure to make a smashing statement right in front of your dear ones just when the clock ticks surprise! New Year is always about new beginnings, renewed resolutions, and more than that it is about celebrations! Gathering together on the eve of the New Years is what tradition calls for. However, at times, we are unable to reach out to our special people mainly due to the distance and that’s when you need someone to reach out to them and make your presence feel just for you. And that’s when a quick and a hassle-free FlowerAura’s New Year gifts express delivery comes into the role. Efficient as imagined, it offers to reach out to your loved ones with the New Year gifts in the quickest manner possible. The online gift shop makes your shopping experience, a convenient one. Availing exciting range of New Year gifts along with punctual and instant delivery at fingertips, FlowerAura is all set to turn the festivity into a grand celebration in no time. People often refer New Years as that time of the year when gifts become mandatory and celebration becomes compulsory. However, at times, due to hectic schedules and because of being miles away, you are unable to be a part of the celebration and thus, you look for online delivery options that can get emotions delivered along with your chosen gifts. And that’s when FlowerAura’s gifts delivery across India comes to your rescue. Reaching out to the remotest corners of all the IT and Millennial cities, it offers to deliver New Year gifts to more than 200 cities of India including Delhi, Gurgaon, Noida, Chennai, Lucknow, Pune, Mumbai etc. In fact, you can even opt to send your gifts within a few hours or at the middle of the night. To help you out, our same day delivery and midnight delivery makes sure to make a grand statement just like the way you’ve wanted. Our online same delivery of New Year gifts avails to take care of your last minute realization and sends a gift in a matter of few hours. 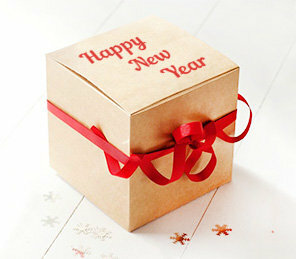 Midnight delivery of New Year gifts is another great option that can leave your loved ones awestruck. Hand delivering gifts right at the middle of the night soon as the New Year rings into, it can avail to deliver the gifts right when your loved one is least expecting. Free shipping is another great thing offered by FlowerAura. Just when you begin to ponder as the gift along with the online delivery would cost extra bucks, that’s when the real surprise steps in. Zero shipping charges from FlowerAura is all set to make you and your wallet happy and can give you one more reason to rejoice this New Years.